India vs New Zealand 4th ODI LIVE: Will Shubman Gill replace rested Kohli? Indian team's young brigade including Shubman Gill and Khaleel Ahmed says the high fitness levels maintained by seniors like Virat Kohli and Rohit Sharma have inspired them to match their lofty standards. Chinaman bowler Kuldeep Yadav, who has been with the Indian team for close to two years, also echoed the views of Gill and Ahmed. 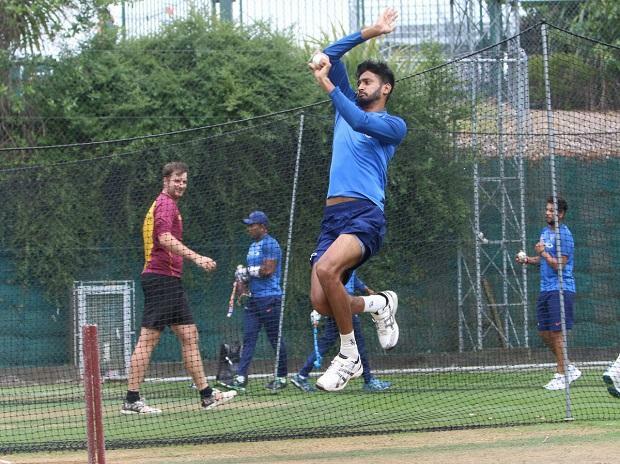 While talking to teammate Yuzvendra Chahal in a short interactive programme uploaded on bcci.tv, Kuldeep credited the team's strict fitness programme for his rapid growth in international cricket. "It's not like that I work out a lot. I like to follow a good fitness regime which is being given to us. So far it has been very helpful to us," Kuldeep said. "Our seniors like Rohit bhai, Virat bhai motivate youngsters like us a lot. When they do so, we too feel that we need give our best (on being fit)," he added. Left-arm pacer Ahmed said that following a strict fitness regime is key for a cricketer to be match-ready whenever required. "Anytime you can get a chance to play in a match, so you have to maintain yourself. You need to keep yourself fit every time," Ahmed said. "Workout needs to be a habit, the same way like you brush your teeth everyday. If you maintain your body then only you can last longer as a player," he said. Young right-handed batsman Gill added: "We maintain ourselves by following the schedule which is being given to us. I am feeling good to be part of the team.